I needed to store a password in AX today and as it has been a while and I forgot, I thought I would post a blog to reference the next time. While there is a password stringEDT we should really be using a CryptoBlob as this will store the password as binary data and will not be readable by a human. 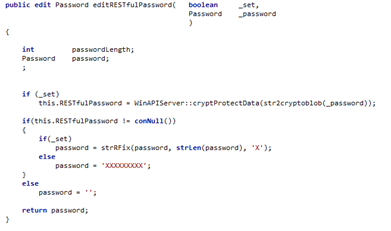 This will then store the password as an encrypted blob in the database. I ran into issues when the batch server was different than the server in which the encrypted password was stored. Please be aware of this if using this method.